What do you think your perfume (or handwriting, for that matter!) says about you? Mine, a unisex Bulgari scent, belies how much the summer we spent in Italy had a stylistic impact on me, and my handwriting says, "Practice makes perfect!" Image by A Simple Photograph. Such a beautiful bottle. I love your chosen scent, mine is Cartier Panthere, but I'm almost out of it a need a new scent. I love this post! My perfume, Jo Malone Wild Bluebell, is girly and fresh without being overly sweet. I sure hope that says more about me than my handwriting because my handwriting is far from my best feature! Dolce & Gabbana Light Blue...because I'm so in love with the Caribbean Blue. I've worn the same perfume for ten years now and I'm just about done with the bottle. Need to buy another one STAT! I love that scent- I get stopped on the street because of that scent. And I actually think my handwriting might say the same. 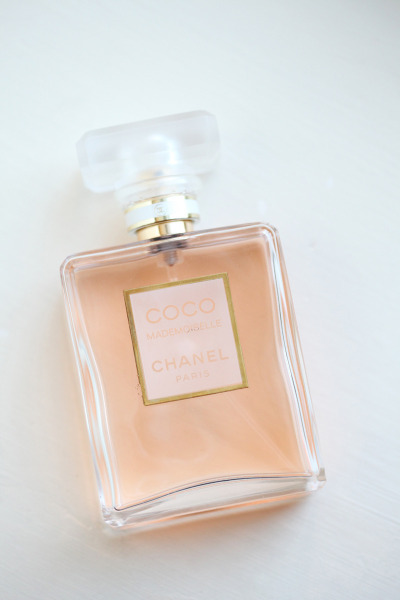 I don't wear any perfume, but I love when my friends have a signature scent that reminds me of them! My handwriting changes with my mood and with what I'm writing. One reason I don't think I could change my name when I get married is that I've finally almost mastered my own name in cursive and I don't want to change now! Oh my, I love this. I love perfume, and I love handwriting. I usually wear Gwen Stefani's LAMB, but truth be told, I like the smell of a men's cologne sometimes more than I do my perfume. I need to check out something unisex. My handwriting is another story. I joke that I hope no one's life ever depends upon their ability to decipher my writing. It would be tragic. Mine is Guerlain's L'Heure Bleu; it's quite hard to find, which may make me like it even more! I wear a lot of Fresh scents: Sugar Blossom, Strawberry Flowers, and Sugar Lemon. I'm not a particularly sweet person, but I do love me some fruit! What does it all MEAN?? My perfume is sickening sweet like candy which really speaks to the fact that I eat loads of sugar. The irony. mine is the body shop's vanilla. i guess i love the simplicity of it. I used to not wear perfume, but my sister bought flower bomb for me for my wedding last year. It's not your normal light, airy floral scent though, it's deep, rich and slightly mysterious.